Happy Friday! This week sped by… that seems to be the usual since I’ve stopped working. I thought the months used to fly when I worked… well gracious heavens they’re going by at the speed of light now. We had a pretty low-key week this week compared to the past few weeks, so I was able to get some things done around the house and I finally got back to the gym twice this week after missing it for three weeks. I also visited with people from my old job this week! I went to my old office to pick up one of my friends/old coworkers for lunch and when I dropped him back off after lunch I decided to go in and see everyone! They just so happened to be having their annual sales and marketing meeting so all of the out-of-town sales team was there as well so I got to see EVERYONE! It was nice catching up and visiting with them. As much as I love not working, I still miss my old coworkers something fierce! Anyway, enough chatter… here are my faves from the week! I promised that I would let y’all know how I like the stand-up work station that B gave me for my birthday and I’m delivering today! It’s a no brainer – y’all, I LOVE THIS THING. It’s pretty much the best thing ever. It fits perfectly on my desktop and it fills the entire space available. It’s so easy to lift up and push down because it has hydraulics that “help” you do the work. The best part about it is that my monitor, speakers, pen cup, notepad, etc. can all just stay in the same spot because it moves up and down with all of the items on it! The old stand-up work station that I had at work was annoying because I had to take everything off of it each time before moving it up or down, but this just stays in place and you adjust it whenever you need to. It literally takes all of three seconds to switch from sitting to standing and vice versa. I also love it because it’s white (the same color as my desk) and it sits really flat when it’s collapsed so you really can barely even tell that it’s there when it’s not up. It’s been nice to have on days that I’m on the computer a lot because I have can start out sitting for a bit first thing in the morning, then stand for a while when my back starts to get tired, and then I can collapse it quickly and sit back down to eat lunch. Easy peasy! If you’re in the market for a stand-up work station I highly recommend this one. And compared to many others, this one is very inexpensive. 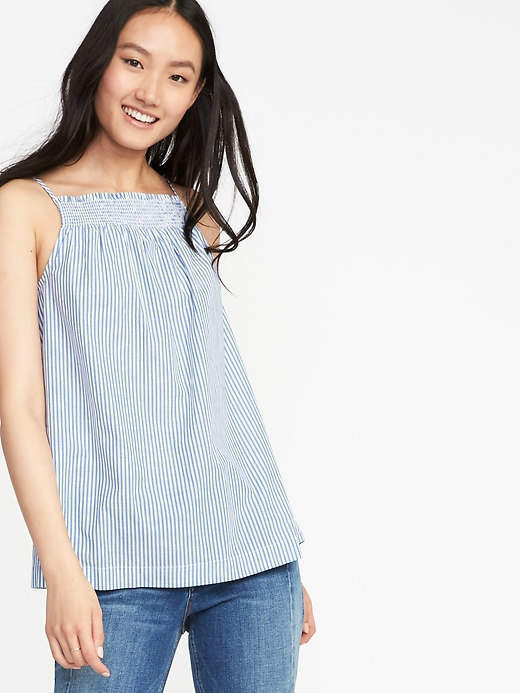 I received a couple of Old Navy gift cards for my birthday so I started browsing the website on Monday to see if there was anything that I liked and oh my goodness do they have the cutest stuff ever right now! Everything was already on sale, plus I had a coupon code for an extra 20% off, plus my order qualified for free shipping, so I was able to get six items with my $75 in gift cards! 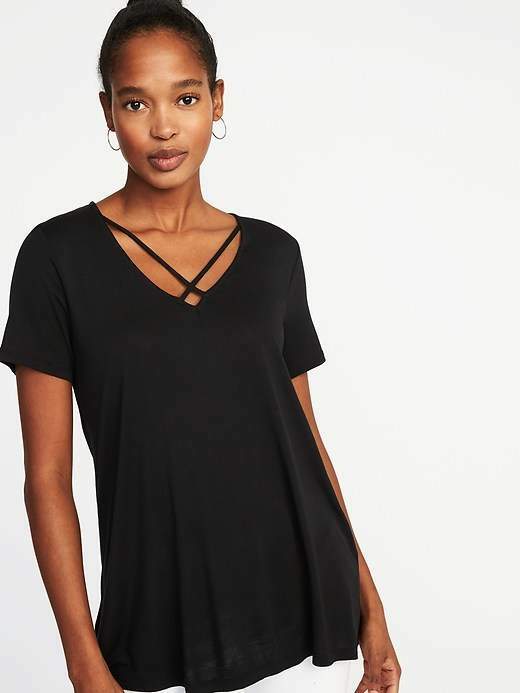 The majority of my summer wardrobe is business attire, so I am in need of a few basic comfy tees and tanks. 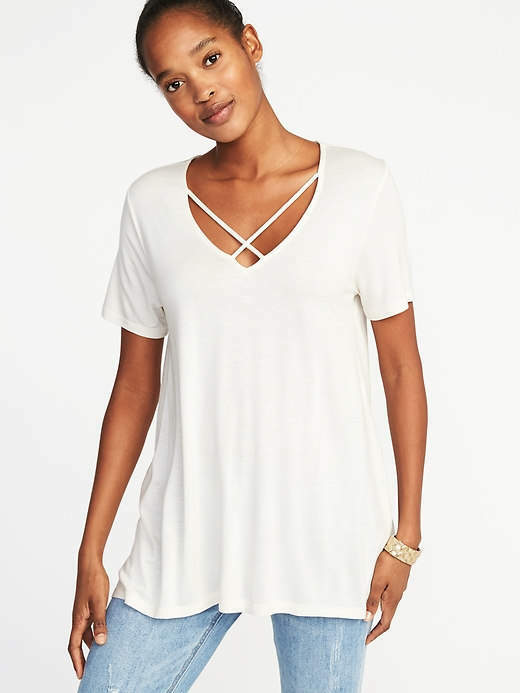 I snagged this cross front tee in black and in white because those should go with everything! I love how swingy these tops are and I love the criss cross straps at the front… they really add some fun detail to an otherwise plain tee. Hopefully I’ll love the fit! 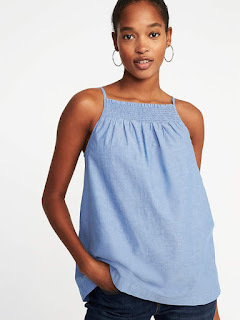 I also ordered this smocked swing cami in two different colors. I was so torn between the solid blue and the blue and white stripes, so I just bought both since they were less than $12 each! I also FINALLY grabbed a pair of the ON leggings that I’ve had my eye on for months. Unfortunately they didn’t have my size in the blue ones like I wanted, so I just got black. I’m just hoping I like the fit… my standards are too high because of those dang awesome Zellas! Finally, it wouldn’t be a summer ON purchase without including one of my beloved sleeveless swing dresses! They have them in SO many colors and patterns right now and they were only $15 as of yesterday, so if you love these like I do, go load up! T H R E E – AMAZON SELLS HUNTER BOOTS FOR CHEAPER! I have been obsessing over these pink Hunter boots for months and they have sadly been sold out in my size on every website that sells Hunter boots. I’ve been checking periodically on each of the websites hoping that perhaps someone would return a pair in my size and I would get lucky enough to find them. Well, friends, that day was this past Monday! I received an Amazon gift card for my birthday so I was browsing the other day and I just so happened to check on my beloved boots and they literally had ONE PAIR back in stock in my size!!!! And get this – THEY WERE ON SALE FOR $115! Now, if you know me, you know that I’m a bargain shopper and I am also quite cheap. I do not typically spend that kind of money on anything fashion related. BUT – I’m here to tell you that I’m a diehard Hunter Boots fan and they are worth every single penny. I’ll be wearing both pairs until I’m an old lady, no doubt, so I’m sure I’ll get my money’s worth over the next 50+ years. Haha. Also, if you are a Hunter Boots fan then you know that these boots are always always $150 no matter which website you find them on and they rarely go on sale. Well, friends, I’m here to tell ya that Amazon has the tall gloss rain boots on their website in loads of different colors for at least $15 cheaper than everywhere else. Yep, I’m still purging, organizing, and simplifying ‘round these parts and this last week I’ve been working on my closet. I still have a couple of things that need to be done so I don’t have any after pictures yet, but I do have some updates on the progress. And as always, you can follow along with me on Instagram stories! I finally, finally let go of my old formal dresses. I still had every single homecoming/prom/bridesmaids dress that I have ever worn and since I’m trying to be ruthless, the time has finally come to part with them. I never wear them so the only reason I’ve held onto them for so long is because of sentimental reasons and that’s just silly. I have plenty of pictures of myself in all of those dresses so there’s no reason to keep the real things. Also, I posted about my jewelry organizer on Instagram stories and goodness gracious did I get a lot of responses from people asking where it was from! Well, I actually bought it about a decade ago from one of those ABC Distributing catalogs and it’s been the best thing since sliced bread since then. I was able to find the exact same thing on Amazon, so here’s the link if you want to order one, too! Mine hangs on the back of my closet door so it's right there with all of my clothes. And it is HUGE so there is abundant space for everything – rings, watches, bracelets, necklaces, earrings. I have a LOT of jewelry and it holds every single piece with room to spare. It is worth every single penny. I know the difference probably doesn’t look staggering in the pictures, but man oh man the pictures don’t do it justice. I got rid of probably 30-ish necklaces, 50-ish pairs of earrings, and 20-ish bracelets. It is a LOT of stuff I’m parting with! Did you catch my Disney recaps earlier this week? I did them on Tuesday and Thursday and I know that a lot of people take off from reading blogs on those days so I thought I’d let y’all know that two of them are up in case you missed them! You can see the Disney Springs recap here and the Animal Kingdom recap here. Finally, this. LOLOLOLOL. Never gets old, friends. Never gets old. This meme is even better than the original one! I hope to clean out mine and Ella's closets this weekend. Then we are heading to Old Navy to stock up for spring/summer! Old Navy has been killing it lately!! Those swing dresses were only $9 something the other day!! I couldn't believe it! The stand up work station sounds awesome! I can't believe you still had all those old dresses lol! I'm so glad you posted this because I need some new spring/summer stuff and I totally forgot about Old Navy! I was going to run to Marshall's this afternoon to see what I could find, but I'm going to check Old Navy too! I'm obsessed with the jewelry organizer and also thank u for the feedback on the standing desk. I think I may look into that! Yay for so many fun things. 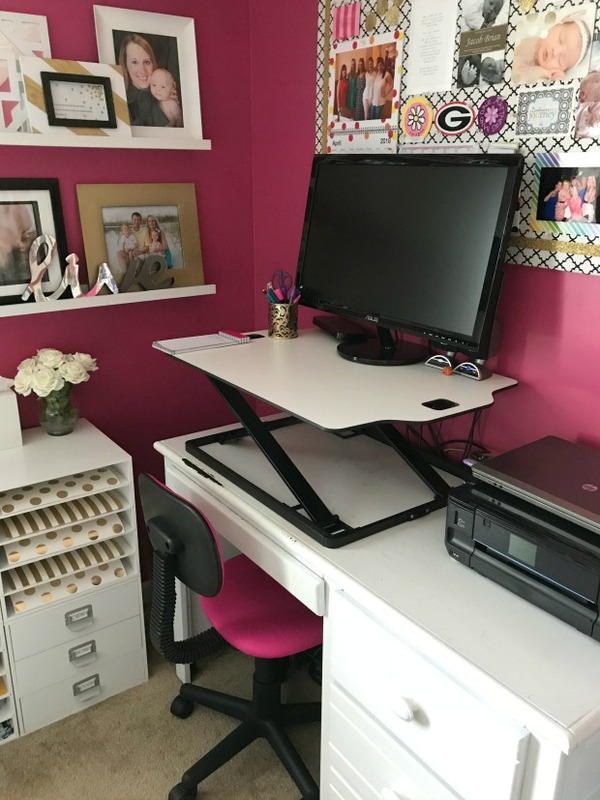 My husband is getting a standing desk at work and I think it would be great! I would love one but my desk is wood tones so not sure how that would look! Can't wait to see you style all your new pieces!!! I have a very similar jewelry organizer but mine is from Bed Bath and Beyond. Absolutely love how organized I can keep all my jewelry! I love your Old Navy haul and of course those boots are adorable!!! Haha! That meme gets me every time! And so cool that you have one from BB&B! I have never seen one there before. They always have great stuff there. I usually go there first for organizers and such since we don't have a Container Store here. Your jewelry looks sooo great! Eek you got your Hunter’s!!! Yay and what a deal! Have a super weekend! I think Target is having Hunters for like $40...I wonder if I should get some! The jewelry looks really good! I also bought some things from Old Navy this week! Old Navy is killing it this spring! That is my favorite store. I love the new stand up work station. Happy Friday! 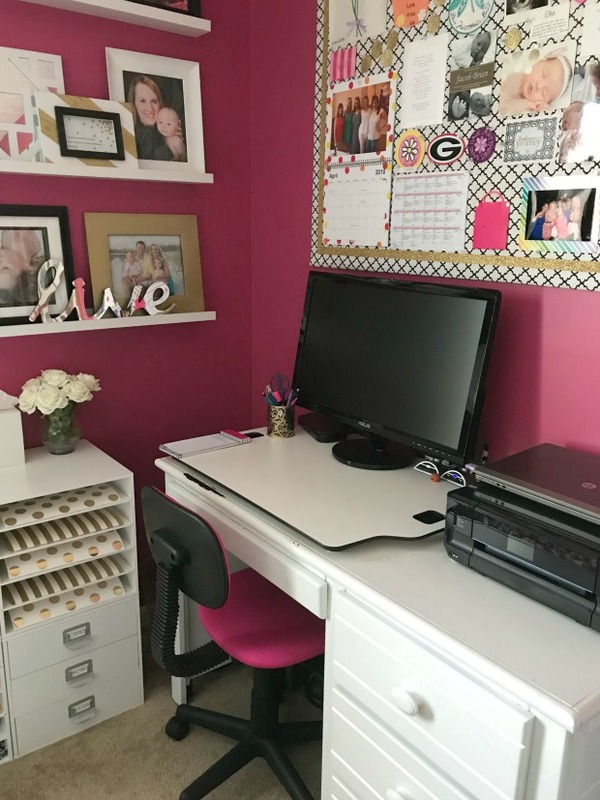 Now I need that organizer and I have a stand up desk at work and I am obsessed. its so good. I was browsing Target and found a desk that I love with a built in stand up station! So neat -- but kinda pricey. That JT meme is the best! I will be seeing him in January, feels so far away! I think I need that stand up desk for work. Some of those bridesmaid dresses look very familiar! I got rid of all mine too and it feels great to finally do it. Enjoy your weekend! I really need to get something to organize my jewelry! I love that JT meme. I bought that jewelry organizer because of you, so thank you! I can't wait to put it up when I get back from vacay. I love all the clothes you got from Old Navy. You bought a ton!!! Have a great weekend! It's gonna be mayyyy, haha! Cracking up. SO awesome you found those hunter boots - I am going to have to take a look myself! Can't wait to see you rock those pink ones! Love your Old Navy haul! ON has so much of my money, lol! Have a great weekend! Mine too, girl. Mine too. You have a great weekend, too! 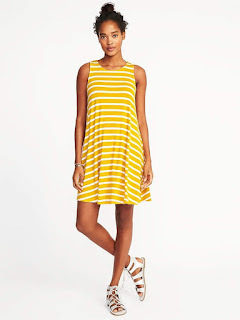 I just made an order with Old Navy, too! Everything was just too good of a deal to pass up!! I know! They really do have some awesome sales! Loving those hunter boots! I love my standing workstation at the office and it's so nice to be able to move it up and down easily. I'm so incredibly spoiled with two monitors at work...I seriously would love to have the same set up at home if i had the room. Your jewelry organizer is inspiring me to get into my closet and do some work! Love your standing desk too! Have a wonderful weekend! Maybe check out the Hunters at Target tomorrow, you might find some you like for a way better price! I had never heard of a stand up desk until you started talking about it, so I'm really glad you showed how it works! I feel like that would be the best investment for someone who has to work at their desk all the time! Whoever came up with that is a genius! 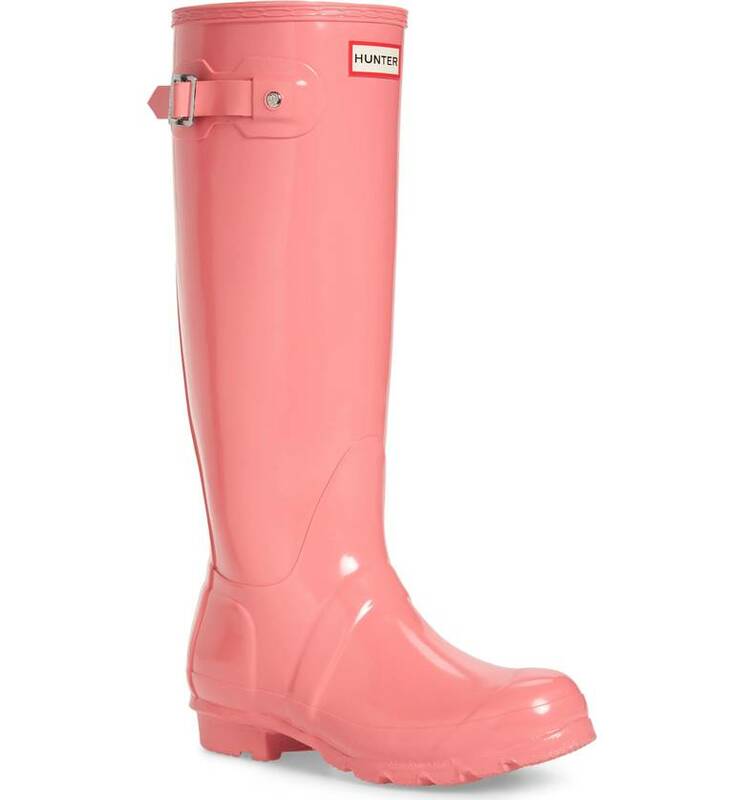 And I love the pink hunters....I have black aka so basic, but pink would be so cute! I have the same jewelry organizer and I LOVE IT. And probably need to declutter mine as well. I also used to have all of my old gowns but donated them one year to one of those charities who gives dresses to girls who couldn't afford one. Was happy to do it! That meme is really the best!! And I love the boots so much!! Oh no! I'm so sorry you don't like yours! I think you're the first person I've ever heard say that you didn't like them. I would be upset, too, because they are pricey. Maybe you could try to sell them? Since they pretty much stay brand new forever you could probably get most of your money back!